Another study was just published with worrisome findings about phthalates. Phthalates are a group of chemicals used widely in common consumer products such as food packaging, toys, medical devices, medications, and personal care products. They are endocrine disruptors (can interfere with normal hormonal function) and are linked to a number of health problems (here, here, and here). The study looked at urban Australian men and found that the higher the level of phthalates, the higher the rate of cardiovascular disease, type-2 diabetes, and hypertension. The researchers also found that higher levels of chronic low-grade inflammatory biomarkers (meaning higher levels of low-grade inflammation) was associated with higher levels of phthalates. All these findings confirm what other studies, done in other countries, have found. Chemicals found in everyday plastics materials are linked to cardiovascular disease, type-2 diabetes and high blood pressure in men, according to Australian researchers. 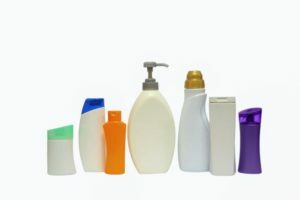 Researchers from the University of Adelaide and the South Australian Health and Medical Research Institute (SAHMRI) investigated the independent association between chronic diseases among men and concentrations of potentially harmful chemicals known as phthalates. Phthalates are a group of chemicals widely used in common consumer products, such as food packaging and wrappings, toys, medications, and even medical devices. Researchers found that of the 1500 Australian men tested, phthalates were detected in urine samples of 99.6% of those aged 35 and over. "We found that the prevalence of cardiovascular disease, type-2 diabetes and high blood pressure increased among those men with higher total phthalate levels," says senior author Associate Professor Zumin Shi, from the University of Adelaide's Adelaide Medical School and the Freemasons Foundation Centre for Men's Health, and a member of SAHMRI's Nutrition & Metabolism theme. "While we still don't understand the exact reasons why phthalates are independently linked to disease, we do know the chemicals impact on the human endocrine system, which controls hormone release that regulate the body's growth, metabolism, and sexual development and function. "In addition to chronic diseases, higher phthalate levels were associated with increased levels of a range of inflammatory biomarkers in the body," he says. Previous article:Red Meat Allergies From A Tick Bite? Next article:Are Fungi Growing On Your Wallpaper?